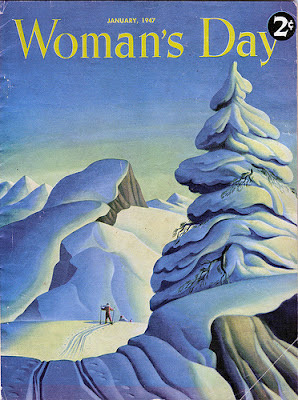 The wistful paintings of Dale Nichols belie the unique story of the artist himself. He is considered a Regionalist artist. 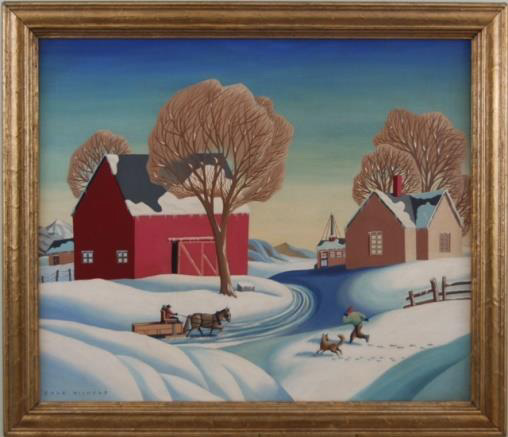 His paintings reflect his nostalgia for the red barn of his childhood home in Nebraska, although he was also able to evoke the same gentle feelings for Arizona, Alaska, Guatemala and the many other places to which he traveled. 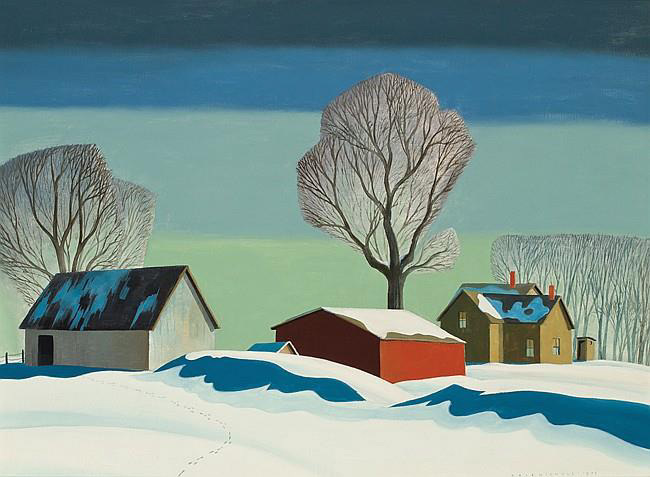 Nichols was born in 1904 and grew up on his family farm in David City, Nebraska. He went from being a farm boy, who did his chores and walked miles to school, to becoming a successful artist and illustrator after leaving Nebraska for Chicago at the age of twenty. Nichols found a welcome audience and his paintings sold well in gallery shows. Even after he began his wandering, he kept in touch with the contacts he had made in the world of art and illustration. Dale Nichols and Norman Rockwell, 1972. Both his commercial works and paintings sold well. 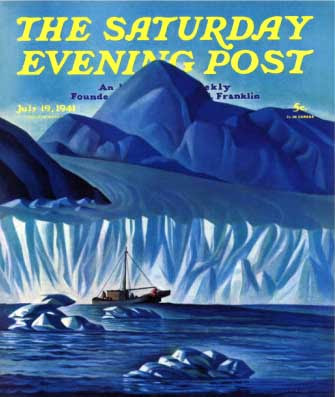 He, like Norman Rockwell, both created covers for The Saturday Evening Post. In 1948 Nichols bought some buildings in the town of Tubac, Arizona and created an art colony, where he taught painting. The project was short-lived and Nichols began his nomadic life-style, reportedly marrying five times, but painting the red barn of home, from memory, wherever he roamed. Dale Nichols paintings can be found at the Met, the Smithsonian and other major venues, and his work was used on postage stamps and postcards by the United States Post Office. Dale Nichols. 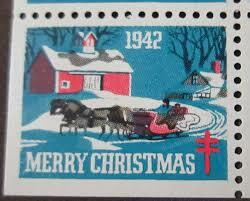 U.S. Postage Stamp, 1942. His died in Sedona, Arizona in 1995, at age 91.  Please contact us if you would like more information about the works of Dale Nichols available at Surovek Gallery. Henry Adams. Go Behind the Red Barn and Rediscover Dale Nichols. smithsonian.com. January 26, 2012. Amanda Mobley Guenther. Dale Nichols: Transcending Regionalism. 2011. Antiques and the Arts Weekly. Dale Nichols Transcending Regionalism At Montgomery Museum Of Fine Arts. March 20, 2012.